Radio in Kenya is available in all but the most remote areas, giving Kenyans an opportunity to hear news, music and talk shows. Most of the stations are in the FM band, with only the KBC broadcasting on AM radio. 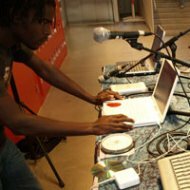 Artists from Kenya are often showcased along with international material. Music lovers with eclectic tastes will usually enjoy listening to Capital FM at any time of the day. Their line-up covers all manner of musical genres, from rock and pop, to swing and soul. Shows on Capital are a mix of music, talk and news. They broadcast on 98.4 in Nairobi, 104.5 in Malindi and 103.9 in Meru. 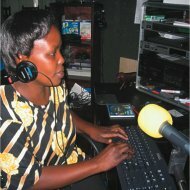 Their website offers a streaming feed, so you can tune in to radio from Kenya, no matter where you are. For the latest hits, the younger generation tunes into Kiss FM. The station broadcasts from several major Kenyan cities. Musical styles include hip-hop, rap and R&B from both local and international artists. In Nairobi, they broadcast on 100.3 and in Mombasa, it's 88.5. The format is basically 24-hour music, with various shows and hosts through the day. Hourly news reports are entertainment-oriented. Also see my seperate page about Kiss FM radio. The Kenya Broadcasting Corporation is involved in television broadcasting as well as radio in Kenya. They offer a number of stations, offering a variety of programming. The KBCs main stations are KBC English Service and Kiswahili Service. They both broadcast widely through the country on a number of stations, and carry educational, news and music programs. KBC has also recently spawned more specialty channels to widen its appeal. Metro FM offers 24 hours of reggae and dance music. Coro FM is a music station, in the Kikuyu language. And to cater to the tastes of the coast, Pwani FM broadcasts from Mombasa. Hope FM is an evangelical Christian radio station, that offers discussion ministry, sermons and news as well as contemporary Christian music. They are on 93.3 in Nairobi, and can be heard live from their website. Part of the Family Media group, Radio 316 (used to be called Family FM) is another Christian station playing both music and talk. The "316" in the station name refers to Bible verse John 3:16, rather than the actual frequency on the radio. They are on 103.9 in Nairobi, 96.5 in Kisumu, and 97.9 in Mombasa. Kameme Radio in Kenya combines secular and Christian programming, to promote the cultures of the Kikuyu, Embu and Meru people. The focus is on educational programming, rather than strictly music. Most of the shows are in local languages. They broadcast throughout Kenya, on 101.1 FM in Nairobi, 88.3 in Embu, and 101.9 in Eldoret. This is not an exhaustive list of all the radio stations in Kenya. Many others cater to specific tastes in music, religion or nationality. Radio Waumini is a Catholic station, Sound Asia targets the Asian community in Kenya, and Homeboyz Radio plays urban dance and hip-hop music. Radio is more than a source of music and entertainment, it can be the only source of outside information to remote areas and villages. Because of their value, many non-profit groups have sought to give out radios in the poorer areas of Kenya. Batteries are expensive and can be hard to come by, so radios powered by hand-crank or small solar panels are ideal. The Freeplay Foundation is one group that has developed a radio for this need, and is involved in donating the radios in Kenya.